This is my entry into the Movement for Indefinite Life Extension (MILE) Activist Contest, regarding how one would spend a hypothetical $5,000 to “inform as many people as possible about the desirability and the prospects for indefinite life extension”. Death is Wrong (currently available on Amazon and Createspace) is my ambitious new book for children and for life-extension advocates of all ages, concisely introducing the major reasons for the feasibility and desirability of indefinite life extension. My proposal for the MILE Activist Contest entails spending $5,000 to distribute Death is Wrong to as broad an audience as possible. As the author, I am able to obtain paperback copies of Death is Wrong at a highly discounted price of $3.79 per copy. 1,000 copies could be obtained at a cost of $3,790. The remaining $1,210 would be set aside to pay shipping costs as needed. The plan for distribution would involve coordinating with other life-extension activists in the United States to bring Death is Wrong to their local areas. For instance, if a life-extension activist desires 25 copies of Death is Wrong to distribute to schools, libraries, or local gatherings, I could ship these copies to the activist, who would be able to identify the most effective local distribution channels and the most receptive audiences. Activists could use the donated copies to conduct public readings, including events that draw an audience of children. As part of this distribution plan, I would be able to provide a similar arrangement for schools, libraries, and other organizations, particularly those which interact significantly with children. Death is Wrong is written at a level readily comprehensible for children ages 8 and older, though ambitious children of younger ages would be an ideal audience as well. In facilitating the distribution of Death is Wrong, I would encourage life-extension activists to invest in quality. Even a single bright child who shows ample curiosity, interest in, and support for dramatic enhancements in human longevity could become a leading contributor to the Movement for Indefinite Life Extension. Cultivating such a passion extremely early in life could provide the MILE with just the kind of support it needs – a set of energetic, intelligent, talented, and idealistic young people who are equipped and eager to transform the world for the better. Success would be tracked through steady correspondence with activists and other recipients of donated books, to receive updates as to how many books were distributed and through which venues. The greatest mark of success, though, would be observing new people – both children and adults – entering the life-extension movement as a result of Death is Wrong. Through Amazon book reviews, online searches, and monitoring of life-extension social-networking groups and publications, as well as correspondence addressed to me and other longevity activists, it would be possible to gain an appreciation for how many hearts and minds have been won by this effort. Progress Unyielding is the anthem celebrating space colonization and humans’ expansion throughout the universe, guided by the principles of individualism, liberty, rationality, and progress. It is originally found in my 2004 novel, Eden against the Colossus. I was recently asked to create a composition to convey the music of this anthem, as I imagined it when writing the novel. This composition is not the full orchestration described in Eden against the Colossus, but rather the main melody, played on the harp, with accompaniment by the piano and by a string ensemble for the latter third. It communicates the principal direction of Progress Unyielding and allows the listener to see the words put to music. Download a free MP3 file of the melody of Progress Unyielding here. The meter of this piece would accommodate the following very slightly modified lyrics, which still communicate the same substance as the anthem in the novel. You can listen to and download all of my compositions, including many recently remastered versions of older pieces, here. Our souls before these sights dwarfed shan’t become. Why bow to passive matter of antiquity? Its barrenness is source for all iniquity. Of stone for man to shape and mold. To every cavern, crater, creek. That worlds are destined for the meek! Our will and strength give matter form. We float into the void, oases craft. And no collective guides our raft. We thrive on work, and work from rights. Our well-earned profit’s our domain. This ground bears meaning solely to our aims. Its monuments stem from our ingenuity. And weeds out every incongruity! What shall replace the brittle dune? What shall refine this cratered scar? And thus apply the universe’s stock. This is not but one transient phase. Forever shall we tame new rock! Cosmos is Man’s, its means and goal. Supremacy, from atom, oil, and coal. These jagged lands shall never wane. Always grand mechanisms will be our guide. No Luddites shall their betterment profane. Inventors we exalt and vandals we deride! Merit determines worth under our creed. And never harms one for another’s ends. What is the trait we deem sublime? The source which does all virtue render. And never can its plight surrender. Prerequisite to any proper state. Maintain your own, and you’ve fulfilled your role. Its furthering’s our sole concern. No mystic afterlife to earn. The Self’s the Lord, Reason, His rite. We have a universe to win. Join us, great men, in splendid flight! 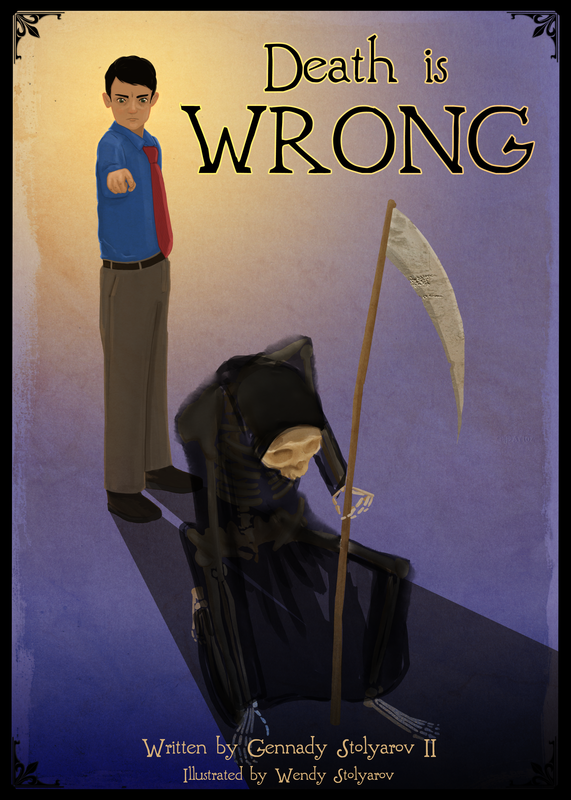 Death is Wrong is the ambitious new book for children and for life-extension advocates of all ages. 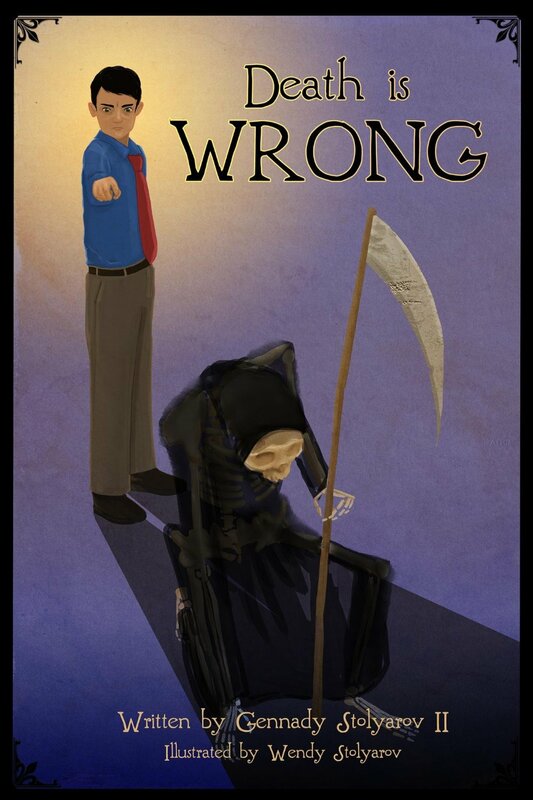 The First Edition of Death is Wrong was published by the Rational Argumentator Press in conjunction with Ria University Press. The Rational Argumentator welcomes your reviews of Death is Wrong. You can submit them to TRA by sending them to gennadystolyarovii@yahoo.com. You are also encouraged to review the book on Amazon and spread the word by reprinting the information on this page or your own comments concerning the book on other media outlets. Non-commercial distribution of Death is Wrong is welcomed – including lending, public readings, and dissemination to libraries and schools. For commercial distribution options, please contact Mr. Stolyarov at gennadystolyarovii@yahoo.com. Because of Mr. Stolyarov’s desire to maximize the spread of this book, non-exclusivity is a key criterion for any commercial distribution rights. Venezuela’s President Nicolas Maduro has never met a price control he didn’t like. The latest news is that he will regulate the price of new and used cars in order to fight inflation, which hit 54% in October. This is a lot like using leeches to balance the four humours: It’s discredited nonsense that does more harm than good (and shame on Bloomberg.com for its uncritical report on the matter, though I’m sure many other news outlets are just as bad). As Matt McCaffrey and Carmen Dorobat pointed out in the International Business Times last month, inflation in Venezuela (and elsewhere) is quite simply the result of monetary expansion. The government prints money like a lunatic, which makes each single unit of currency worth less (and eventually worthless). More units of the debased currency are therefore needed to purchase goods and services, which is just another way of saying that prices go up. Imposing controls to stop nominal prices from rising therefore actually lowers real prices below market rates. This leads to shortages, something long-suffering Venezuelans know a thing or two about. Their country is tragically being gutted of its accumulated capital by disastrously wrongheaded economic policies. Ceilings or floors, fixing prices by diktat distorts market signals and makes most everyone worse off. Depending on their pervasiveness, price controls can lead to a little—or a lot—of hardship. Quebec’s politicians would do well to think twice before emulating an economic basket case like Venezuela. Indeed, the increasingly common usage of the term “privilege” to mean any advantage whatsoever eviscerates it of any genuine meaning it once had. This problem in today’s discourse spreads far beyond discussions of connections between businesses and governments. Certainly, the very fact that one individual is different from another – with a different set of experiences, different physique, different knowledge, and even different standing room at any particular time – provides that individual with opportunities that the other lacks, while rendering him or her limited in ways that the other is not. Unfortunately, this trivial fact is increasingly being misconstrued in some circles to suggest vile inequities arising out of innocuous human differences. People who have not aggressed against, or even demeaned or ridiculed, anyone are increasingly being identified as “privileged” simply for belonging to broadly and crudely defined groups – be it all people of European descent, all males, or even all non-overweight people (witness the pseudo-concept of “thin privilege”) or people who are not disabled. (“Ableism” is apparently an emerging sin in the vocabulary of the increasingly militant and vitriolic collectivistic “social justice” movement – which is about neither true individual-oriented justice nor the preservation of a civilized and tolerant society.) Such a vacuously expansive view of privilege is a tremendous insult to the true victims of coercive privilege throughout history – from slaves in all eras, to women who in prior eras were denied suffrage and property rights, to the freethinkers and forbears of liberty and reason, whose voices were too often snuffed out by the arbitrary power of absolute monarchs and theocrats in the pre-Enlightenment world. Thomas Jefferson, an opponent of privilege in its meaningful sense, put it best when he expressed in his 1826 letter to Roger C. Weightman “the palpable truth, that the mass of mankind has not been born with saddles on their backs, nor a favored few booted and spurred, ready to ride legitimately, by the grace of god.” Jefferson was a staunch opponent of the coercive privilege that enabled some to gain artificial advantages by restricting others from pursuing life-improving courses of action. Accidents of birth, or special lobbying skills, should not, in a just system, enable a person to acquire prerogatives which could not be earned through the free, peaceful exercise of that person’s abilities. Jefferson saw the future and strength of the American republic in the hoped-for emergence of a “natural aristocracy of talent and virtue” – people who, when allowed the liberty to flourish through honest work and competition, would become role models for others solely through their examples. This natural aristocracy would not need force to maintain its prominence, because the traits of the most knowledgeable, most industrious, and most virtuous people will be emulated by any who earnestly seek to improve their own lives and who have the freedom to acquire knowledge and make their own decisions. Yet Jefferson’s natural aristocracy would be denounced as an example of horrid “privilege” by the “social justice” types – simply due to the necessarily unequal distribution of outcomes on a free market of open and honest production, competition, and cooperation. After all, not everyone can originate the same ideas at the same time. Not everyone can take advantage of the same opportunity for entrepreneurial profit, whose attainment, as economist Israel Kirzner demonstrated in Competition and Entrepreneurship, arises out of alertness to opportunities that others have missed. Kirzner writes that “Because the participants in [a] market are less than omniscient, there are likely to exist, at any given time, a multitude of opportunities that have not yet been taken advantage of. Sellers may have sold for prices lower than the prices which were in fact obtainable… Buyers may have bought for prices higher than the lowest prices needed to secure what they are buying…” (43). Would it be an example of unacceptable “privilege” for an alert entrepreneur to remedy such an arbitrage opportunity and thereby bring otherwise-unrealized value to consumers? Yes, the free exercise of human abilities will produce outcomes where some people will have some advantages over some others (while, of course, leaving fully open the possibility that those very others will have their own distinct advantages, obtained through hard work, knowledge, or sheer luck). But, as long as coercion is not involved in securing and maintaining those advantages, the people endowed with them are not “booted and spurred” to ride the rest of us. As Dr. Ikeda points out, the differences among people are a source of strength harnessed by the free market: “The free market gives you an incentive to profit from associating with and learning from others who might be very different from you, who operate outside your normal social networks.” By incentivizing and facilitating these interactions, the free market encourages greater tolerance, understanding, and visible societal heterogeneity of the sort that constitutes the best safeguard against truly heinous oppressions based on collectivistic stereotypes. Instead of condemning others as being too “privileged” simply on account of innocuous differences, it is far more productive to think about how those differences can help one achieve one’s own values through honest, peaceful, and productive interaction, cooperation, and exchange. A widespread misunderstanding of the meaning of the term “randomness” often results in false generalizations made regarding reality. In particular, the view of randomness as metaphysical, rather than epistemological, is responsible for numerous commonplace fallacies. You cannot negotiate with Iran. That is what they told us for years. The Iranian leadership is too fanatical, they are not rational actors, they are “not like us.” One US official even recently said that deception is part of the Iranian DNA. But just over a week ago negotiations between the five permanent UN Security Council Members plus Germany and the Iranians produced an historic agreement that may be first step toward a new era in US relations with the Middle East.As Middle East expert Eric Margolis pointed out this week, for Iran’s major concessions it will only receive “$7 billion – of its own money, which has been frozen abroad by US-led sanctions.” That sounds like quite a bit of compromise for such a “fanatical” country. Earlier this summer the same people made the same arguments about Syria. You cannot negotiate with Syrian President Assad, they said. He is insane; he is another Hitler. But not only was it possible, a deal was signed ending the threat of a US strike in exchange for Syria agreeing to give up its chemical weapons and the ability to manufacture new ones. Syria upheld its end of the agreement and the chemicals were all accounted for on schedule. Why have the interventionists, the neocons, and the special interest groups claimed for so long that negotiation and diplomacy was tantamount to surrender; that countries such as Iran and Syria “only understand force”? It is because these groups are afraid of diplomacy. They do not want a peaceful resolution to these conflicts. They see US foreign relations only in the starkest terms: do what we say and we will give you aid, disobey us and we will bomb you. Now the warmongers who call themselves “foreign policy experts” have been exposed. The whole world sees that they are wrong. Their advice is bad. Their limited vision of how foreign affairs should be conducted is actually dangerous to the United States. It is now clear that there are workable alternatives. As with the US threats against Syria, public opinion polls on talks with Iran demonstrate that the American people are solidly behind diplomacy and opposed to another war. According to one recent poll, Americans support the deal reached with Iran by a margin of two-to-one. Congress, however, is once again far behind the American people. Even as US negotiators were reaching agreement with their Iranian counterparts, US representatives and Senators were drafting legislation to increase sanctions on Iran. Instead of listening to the American people, many in Congress seem attached to special interests like the Israel and Saudi lobbies, which oppose anything less than full Iranian capitulation. Israel refuses to join the Non-Proliferation Treaty yet it seeks to dictate the rules of the treaty to those who have signed it. Saudi Arabia is desperate to control the region politically and economically, and it views an Iran that is free to sell oil and other products on the open market as a threat to Saudi power. For too long both Israel and the Saudis have benefited from a US military guarantee. It has created “moral hazard” that only encourages more belligerent behavior on both of their parts. It remains to be seen whether this six month trial period will develop into a permanent move toward normalization of relations with Iran. What if Congress refuses to give Iran its own money back? But we are moving in the right direction and we should be optimistic. A better US relationship with Iran may signal the beginning of the end of US meddling in the region and serve as an incentive for Saudi Arabia, Israel, and the Gulf States to solve their problems themselves. This would be a great boost to US national security, just as an Iran open to US business and trade would be a great boost to our economic security. Is peace finally breaking out? Let’s hope so. 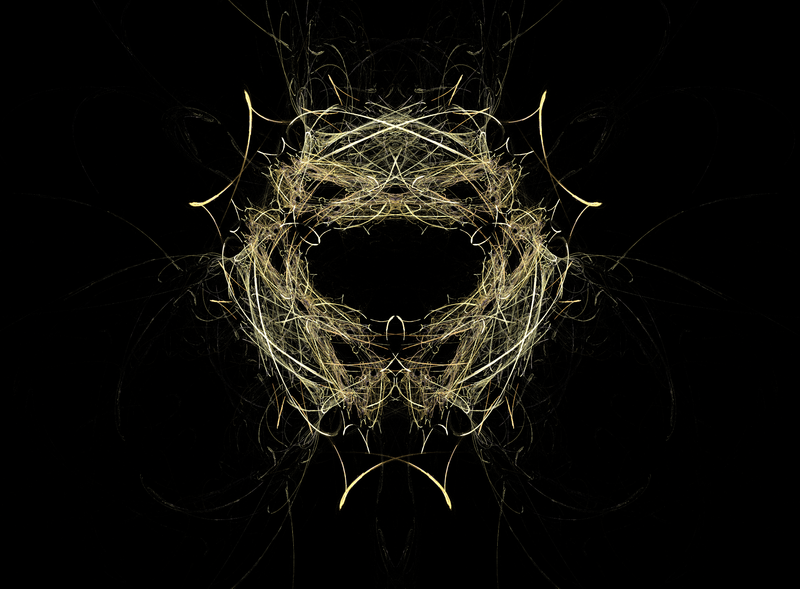 This fractal’s elaborate interwoven pattern is situated within a larger pear-like shape. 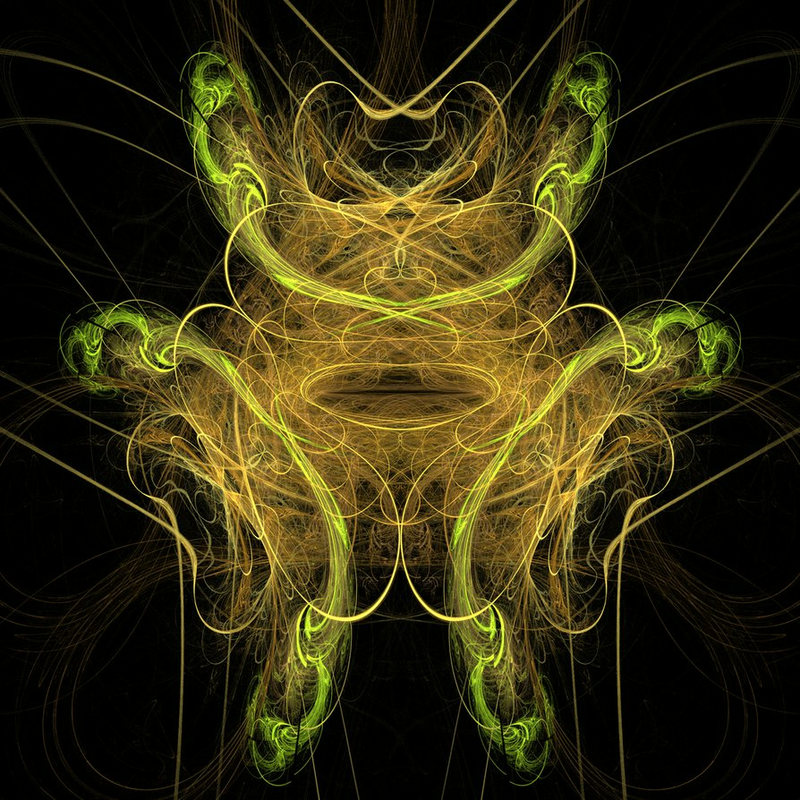 This plant-like fractal design consists of numerous loops and rounded shapes. 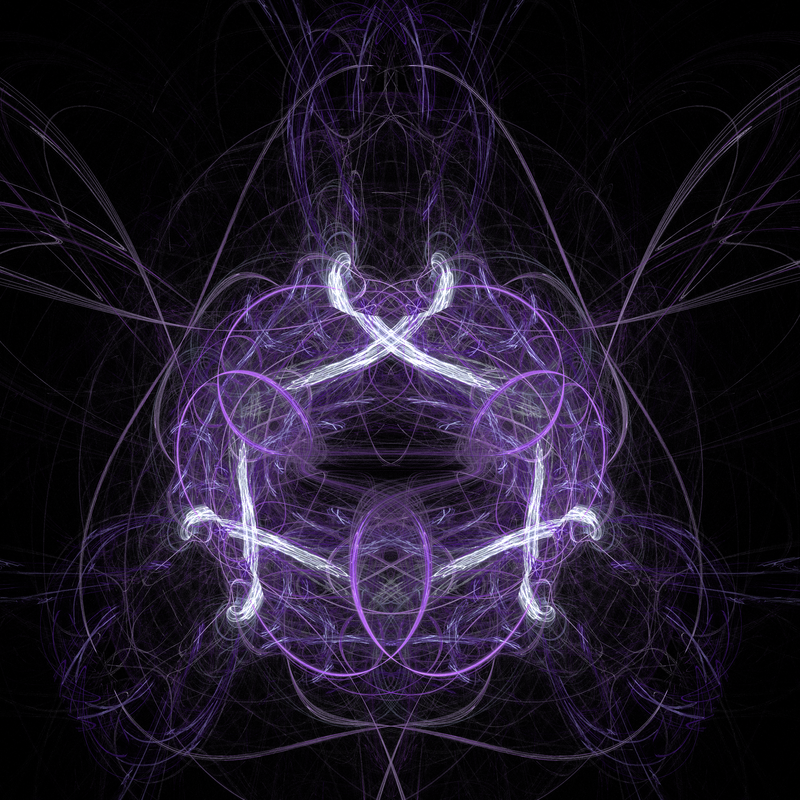 This intricate fractal is formed by means of the intersections of many hundreds of light curves.